Later this week we will look into how bi-folding doors can transform your garden space, but first, Clearview are going to share how installing bi-folding doors to your Leeds home can improve the internal aspects of your dwelling. Firstly, bi-folding doors are unlike patio or sliding doors as they provide a far larger open space once open, which allows more light into the home. They also require a differing arrangement within the home due to the concertina effect, which means when completely open they stand at 90 degrees to the window opening (hence the large amounts of open space). Despite the increased amount of light aluminium bi-folding doors manufactured and installed by Clearview have a number of other great benefits to the internal aspects of your house. Using high efficiency glass, Clearview’s bi-folding doors can provide financial benefits too. The glass, which comes as standard on all our bi-folding doors, traps the sun during the summer months and helps to keep the internal temperature cool, whilst in the winter it works in the opposite fashion and keeps the cold out, meaning you do not have to pay as much for heating. Because there is so much uninterrupted glass, it works better than patio or sliding doors. With so much glass on show, we are often asked if it means the items in your Leeds home are more on display and then subject to attempted theft. However, aluminium doors are the strongest on the market and because of the thorough testing we carry out during manufacturing, are some of the most difficult doors to break into. All our bi-folding doors are tested against anti-bump and anti-pick, whilst also carrying Kitemark and Secure by Design certification for quality. Multipoint locking systems can also be added to increase security, but after installation, aluminium bi-folding doors are the securest on the current market. 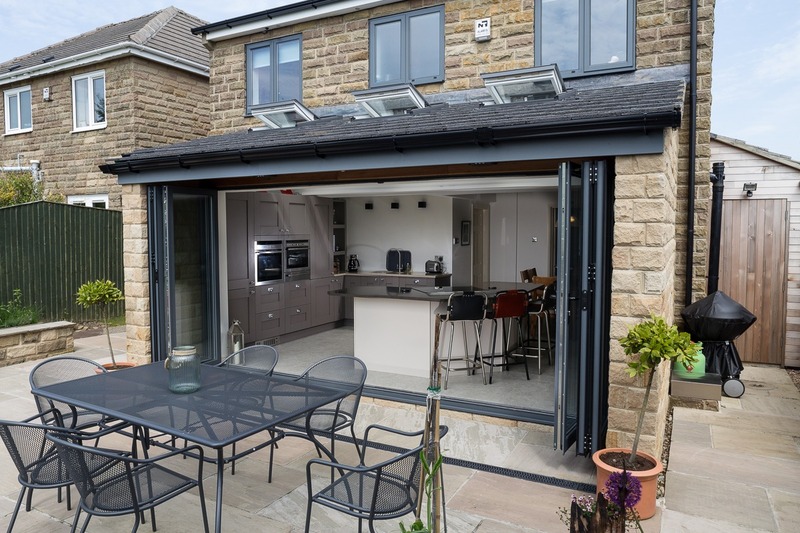 These reasons show how bi-folding doors can have real benefit to your Leeds home, and later on in the week we will explain how they can transform the garden area too. For more information about Clearview’s range of bi-folding doors, including differing colour configurations and sizes, please call us on 0800 1357167.